Original Article from 2015: News has broken that the much anticipated Michael Lynn Extradition (#MichaelLynn) from Brazil is now imminent. Former Irish Solicitor Michael Lynn fled Ireland on the back of allegations that he defrauded multiple Irish banks of more than €80 million. In 2007 he failed to turn up for a hearing in Dublin’s High Court and has not made himself available for questioning by the Irish authorities since this time. Lynn has now spent over two years (28 months) in a prison in Recife awaiting this decision on his extradition to Ireland. It would appear that Mr. Lynn, who is originally from Crossmolina in Co Mayo, wished to use his Brazilian citizenship to avoid the extradition. On the birth of his son with Irish wife Brid Lynn, Mr. Lynn secured a permanent Brazilian visa in June 2012 due to the birth of their child there. The Irish authorities circumvented this regulation making an exceptional request to the Brazilian authorities for his extradition. It would now appear that this route was fruitful. Traditionally, Brazil has been seen as a safe haven for those on the run from the law. It has famously been the final destination for numerous Nazi war criminals and was also the home of deceased Great Train Robber, Ronnie Biggs, until he voluntarily returned to the UK before his death. 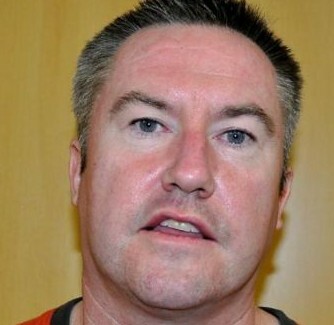 There is still no official extradition treaty between Brazil and Ireland, but a temporary bilateral agreement was struck by the countries, leading to the Michael Lynn Extradition. If Lynn is convicted and jailed in Ireland his time served in prison in Recife will be discounted from his term. You can read further details of the Michael Lynn estradition from Brazil in the Irish Independent here.